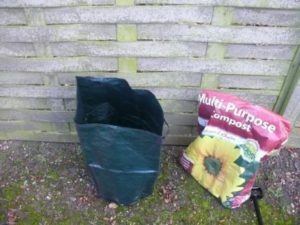 Grow Sacks are containers made of a breathable material which are filled with soil and compost. They are ideal for growing potatoes. The sacks can be put anywhere, as long as it is light, and you don’t even have to have a garden. 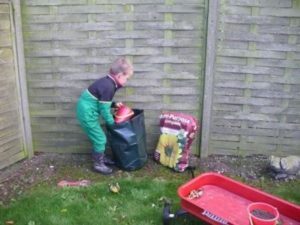 If you do, the sacks can be placed on garden soil, but they do just as well on a concrete yard. There is no mud because you do not walk on the soil. You just lean over the sack. There is no heavy digging! Different Grow Sacks have windows which can be opened to check the roots, or development of potato tubers. These add to the fun!